In March 2014, SAIS Europe Advisory Council members, alumni and friends joined forces in an exceptional fundraising effort, spearheaded by James Anderson, joined forces in an exceptional fundraising effort to raise $2.5 million and endow a Professorship to honor the legacy of Ken Keller, Director and resident Professor of the SAIS Bologna Center/SAIS Europe from 2006 to 2014 and current Senior Adjunct Professor of Science and Technology Policy at SAIS Europe. During his tenure as Director of the SAIS Bologna Center, Ken Keller placed a strong emphasis on strengthening the curriculum, encouraging and supporting faculty scholarly activities that cross disciplinary boundaries, and increasing opportunities for public policy dialogue. 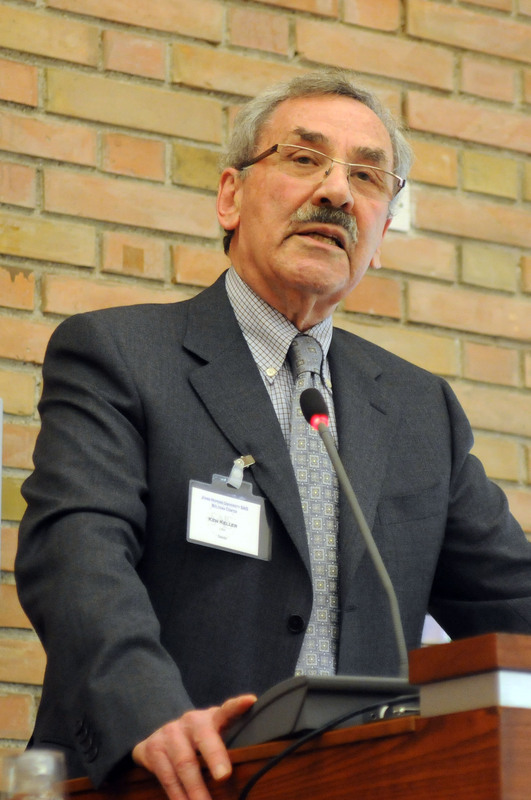 Keller's vision led to the establishment of the Bologna Institute for Policy Research and the transfer of the European and Eurasian Studies program's core operation to Bologna. Moreover, he broadened the course offerings to include newly emerging issues in order to ensure the best possible education in international affairs. His own course, "Science, Technology and International Affairs", brought together the worlds of science and policy. Ken Keller realized that the quality of education and the atmosphere on campus depend on the faculty and their gift to challenge and inspire students. Throughout his directorship, he energetically pushed for SAIS to be able to recognize the academic achievements of SAIS professors resident in Bologna by providing the possibility of formal tenure appointments for them. Not surprisingly, therefore, the person holding the Kenneth H. Keller Professorship, which is designed for a faculty member whose area of scholarship blends history and international politics, requires that the person be a full time faculty member at SAIS Europe with a tenured or tenure track appointment. In March 2015 professor John Harper, who was officially awarded the status of Full Professor with Tenure by the Johns Hopkins University Board of Trustees, was appointed first holder of the Kenneth H. Keller Professorship in International Affairs.